How do we say thank you to the grantees, sponsors, parents, volunteers, community members, teachers, and staff, which helped build a $45,000 outdoor classroom and learning garden? There are so many to thank that we decided to have a Garden Gala. The purpose was to provide the opportunity for the invested parties to see the finished garden hear first-hand how the students and teachers have embraced this new classroom. 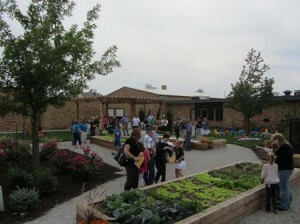 Benton’s Backyard is the school’s outdoor classroom and learning garden. It contains raised cedar beds, vegetables, rain barrels, a pergola, bubbling rock, fruit trees, bird bath, bird feeders, and, of course, students. This amazing space would not have been possible without vision, hard work, persistence, and support. With deep appreciation, we created an 8” x 10” picture collage and hand-written thank you notes from our students to present to our guests. Once everyone had arrived, our principal shared words of gratitude and invited one of our teachers to share the different ways her class has utilized Benton’s Backyard. 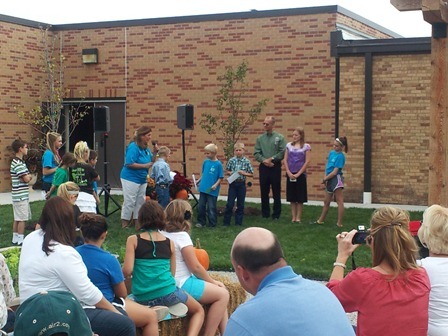 Two students from each grade level shared what they liked about the outdoor classroom and learning garden. Words so sweet and pure; I welled up with tears as she spoke! Next, the guests watched an amazing presentation by three second grade boys. 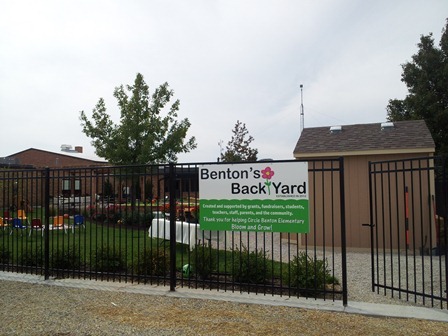 They donated $139.00 to Benton’s Backyard. Instead of birthday presents, the boys asked their birthday party guest to give cash gifts that they could donate to the school. To me, this shows how much the children love and appreciate their outdoor space. They enjoy taking school outside, digging in the garden, planting, and harvesting. 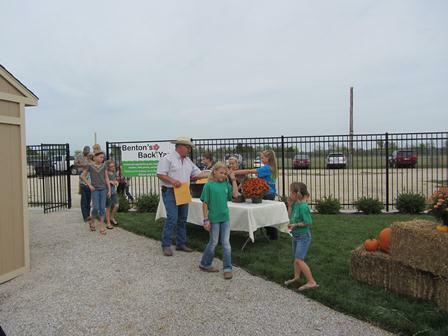 Benton’s Backyard had indeed enriched their school day and learning. Moreover, it is affecting their character as well. How does one say thank you? With the sweet and pure words of the kids! If you have the desire to build a learning garden at your school, please let Nutrients for Life Foundation know. We are happy to help you get started!